Philadelphia's Police Department (Central Division) will begin an unprecedented education and enforcement campaign this week to remind drivers, pedestrians and bicyclists about traffic safety. 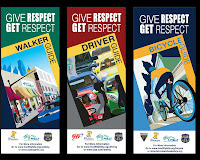 The campaign called "Give Respect Get Respect" is a joint effort of the Philadelphia Police Department, Philadelphia Health Department, Mayor's Office of Transportation and Utilities and the Centers for Disease Control and Prevention. Police officers on bikes and one patrol car will circulate through Center City between 12-4pm educating pedestrians, motorists and bicyclists about the rules of the road and enforcing traffic laws. 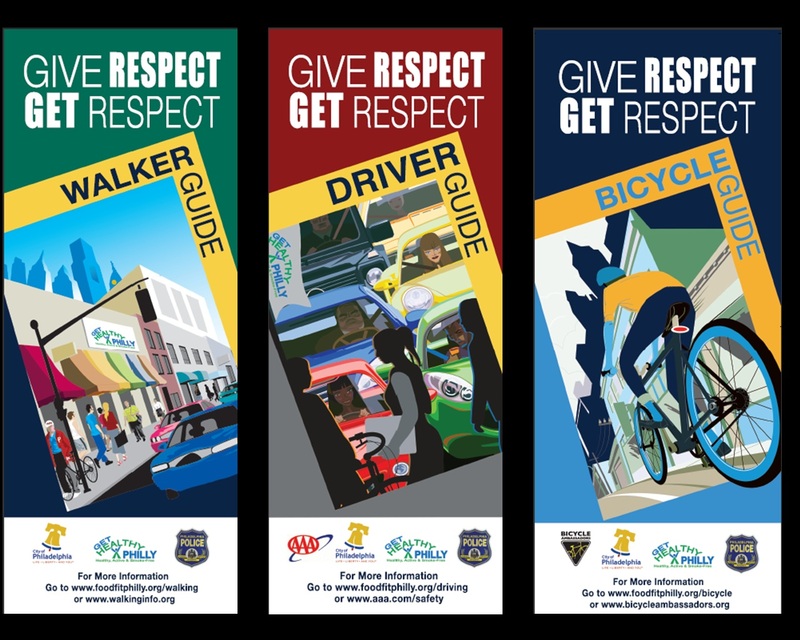 Brochures have been developed tailored to each user that summarize the rules and will be handed out to walkers, motorists and cyclists. Motorists and cyclists who put others in danger will be ticketed. A list of vehicle laws that will be enforced and their fines is here. You can download a pdf of the brochures here. so bicycles will only be ticketed for riding on sidewalks and/or using a cellphone? also the link needs to be fixed. Any chance PDFs of these brochures are available? The link should work now. We're working on getting those pdf's. I believe the vehicle laws also apply to bicycles; stop sign, yield to pedestrian, and the like. I really hope this does not turn into a ticket frenzy for cyclist. The new N&S lanes would not be worth that. Paul Statt is correct; all rules that apply to vehicles apply to bicycles. This is good news. It would be great if there was a comprehensive webpage we could link to with the brochure content and fines. Linking to PDFs is awkward. "Police officers on bikes and one patrol car will circulate through Center City between 12-4pm educating pedestrians, motorists and bicyclists about the rules of the road and enforcing traffic laws." will said police officers on bikes be riding on sidewalks as per philadelphia standard?